Scientists may have solved the mystery behind one of the five mass extinctions in Earth's history – a time 65 million years ago at the end of the Cretaceous period when a meteor struck the Earth and wiped out dinosaurs and nearly every living creature on the planet. The reason? A blanket of soot cast the Earth into darkness for up to two years, according to a new study. What they found: Using a sophisticated climate supercomputer, researchers modeled what may have happened when a meteor hit the planet and found such an impact would likely create raging global wildfires and toss a blanket of soot into the atmosphere, thereby keeping more than 99% of sunlight from reaching the surface of the Earth for up to two years. With the Earth in darkness for that long, photosynthesis would stop; temperatures would plummet by more than 30 degrees Fahrenheit for several years; and the protective ozone layer would be depleted. This creates a deadly combination that the researchers say could have led to mass extinctions and the end of the dinosaurs. 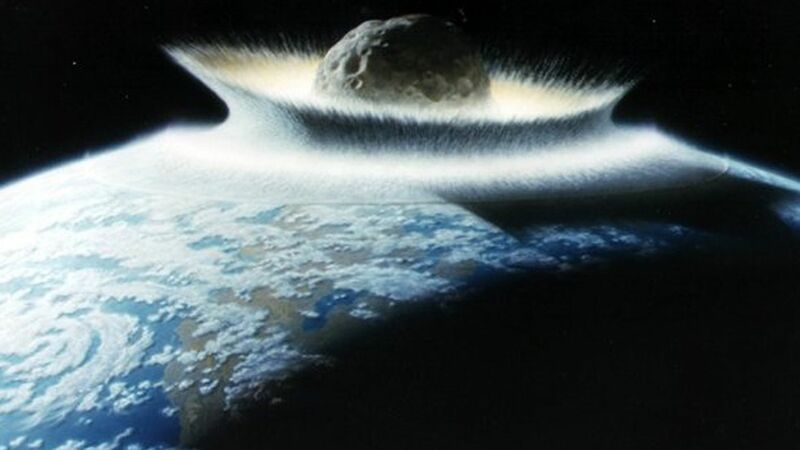 Geological evidence shows that the Cretaceous mass extinction event occurred at the same time that a very large asteroid hit Earth in what is now the Yucatan Peninsula. What the new computer model shows is how such a collision would trigger other events in its wake that drastically altered Earth's climate.